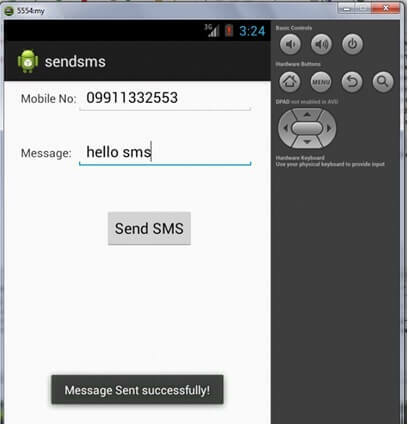 We can send sms in android via intent. 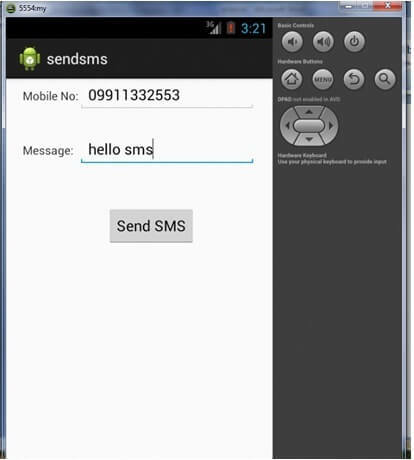 You need to write only 4 lines of code the send sms in android. Let's write the code to make the phone call via intent. Install and Run the apk file on the Real Device (e.g. Mobile) to send the sms.